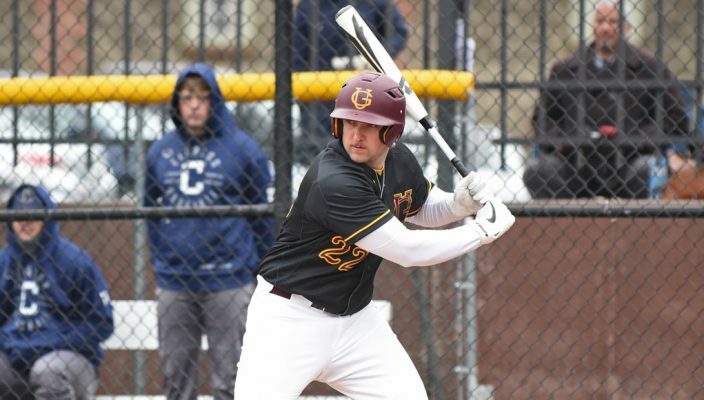 After sweeping Clarion Friday at McConnell Family Stadium, the Gannon University baseball team saw its seven-game winning streak snapped in the second half of a doubleheader Monday against the Golden Eagles in Butler. The Knights had no trouble with Clarion Friday at home, breezing to wins of 10-1 and 17-1. The 27 total runs marked the highest two-game run total this season. But they were unable to duplicate the feat Monday, winning 7-1 in the opener before falling 8-3 in the nightcap. Gannon now owns an overall record of 17-7 and a 7-1 mark in Pennsylvania State Athletic Conference action going into Friday’s 3 p.m. doubleheader with Seton Hill at McConnell Family Stadium. Sophomore Deven Judy was on the mound for Gannon in Friday’s doubleheader opener against Clarion, and he went on to throw a complete game, giving up only one run in seven innings. This run gave the Golden Eagles their only lead of the game in the first inning, and they maintained it until the Gannon bats came alive in the bottom of the fourth with a six-run rally. Ian Hess opened the inning for the Knights with a single to set the table for a Jared Beach two-run home run. Nate Cardy and Justin Hamm also scored on an error, and Gannon finished the inning with a 6-1 lead. The Knights added another pair of scores in the fifth on an RBI double from Dominic Mori, followed by two more again in the sixth. Trey Zeroski brought home one of the two by beating out an infield single and he later scored on a single by Luke Callahan. Now staked to a solid nine-run lead, Gannon’s skipper saw no need to waste another arm to close the game. Judy struck out the side in the top of the seventh to wrap up a 13-strikeout, eight-hit complete-game performance. Game two was an even more lopsided victory for the Knights. Starting pitcher Jarod Morrison had all the run support he needed early, as Gannon led 15-0 after three innings. The Knights finished with 16 hits, including home runs by Beach, Cardy, Hess and Elijah Quiceno. Cardy and Quiceno each had three hits, with Cardy driving in eight runs. Although he could not be stopped offensively during game two, Cardy saw his 11-game hitting streak snapped in game one. Ten Knights notched at least one hit in the game, marking a season high. Morrison went the distance, giving up just one run on six hits. He did not walk a batter and struck out 10. Gannon’s win streak reached seven with its 7-1 win in Monday’s doubleheader opener. With the score tied at 1-1, Gannon struck for three runs in the third on Beach’s bases-clearing double. The Knights added a run in the fifth on Hess’ RBI single and Cardy and Hamm each contributed run-scoring doubles in the sixth to make it 7-1. Quiceno, Beach and Ian Steighner each had two hits to lead Gannon’s 10-hit attack. Cory Hegedus worked the first five innings, allowing just one run on four hits while striking out 10. Monday’s nightcap, however, saw the Knights get outhit by Clarion, 10-5. The Golden Eagles snapped a 2-2 tie in the fifth inning with a three-run outburst and added another run in the sixth. No one managed more than one hit for Gannon. Quiceno drove in a pair of runs with a single and a sacrifice fly. Following Friday’s doubleheader at home against Seton Hill, the Knights will travel to Greensburg to take on the Griffins at 1 p.m. Saturday in another doubleheader.